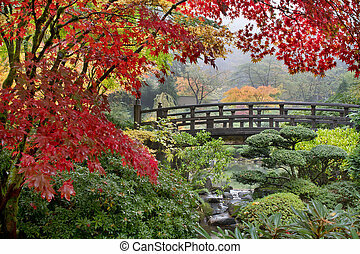 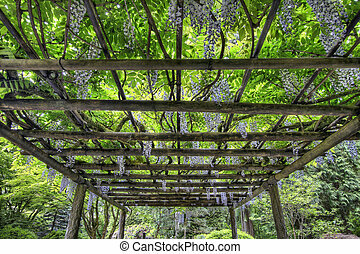 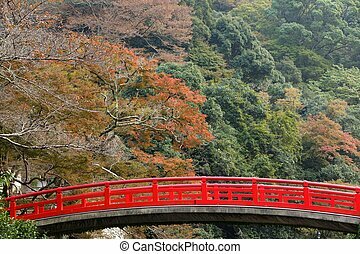 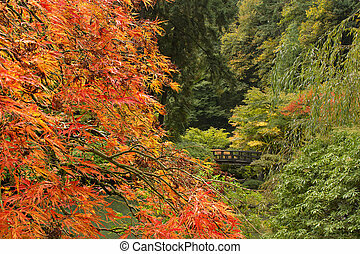 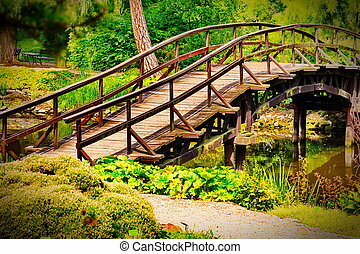 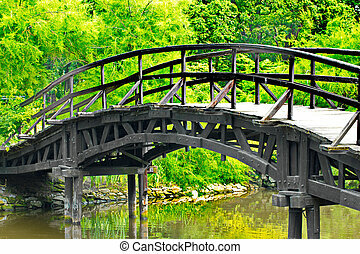 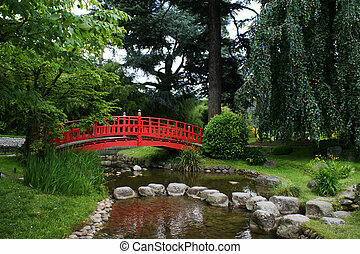 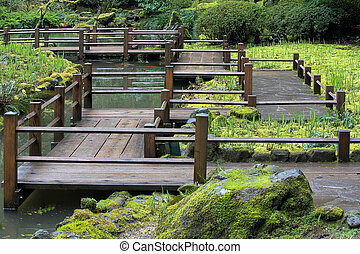 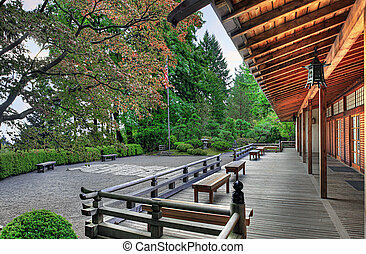 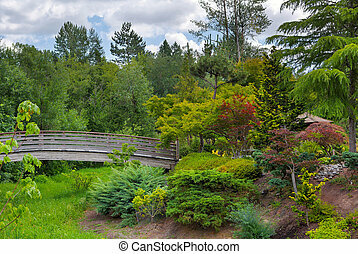 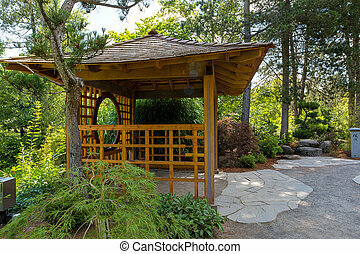 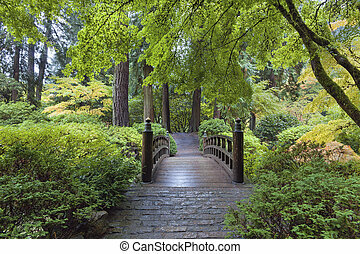 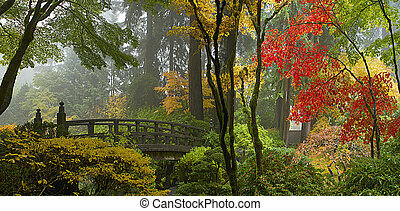 Wooden bridge at japanese garden in fall. 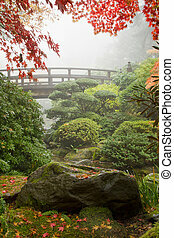 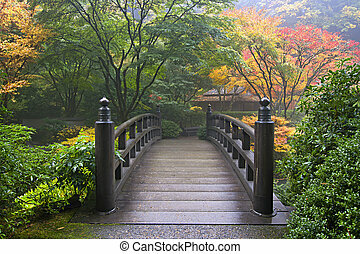 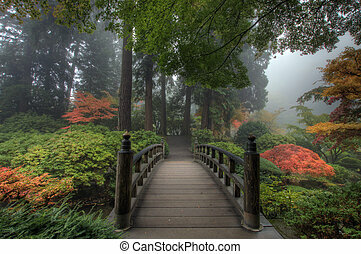 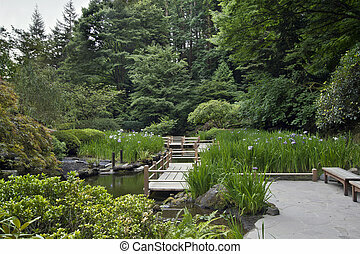 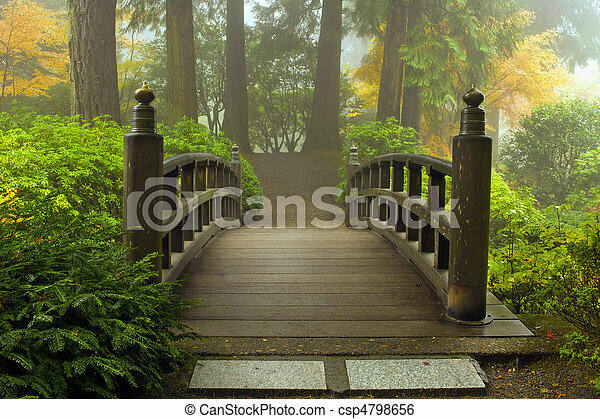 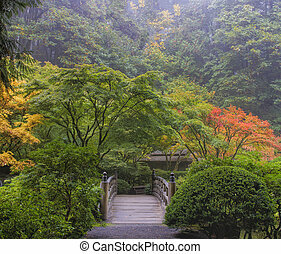 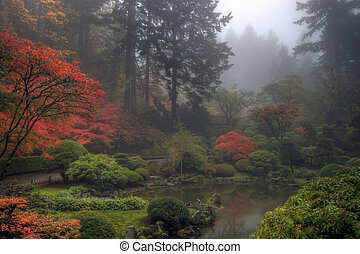 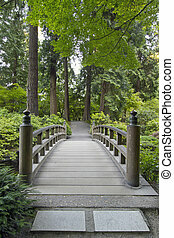 Wooden bridge at portland japanese garden in fall one foggy morning. 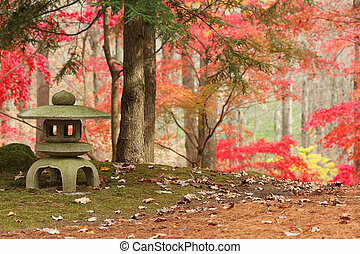 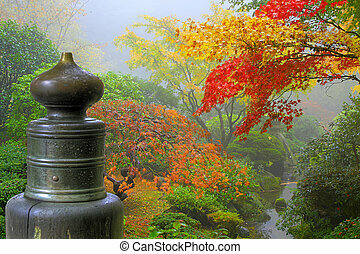 Autumn landscape with Japanese Lantern. 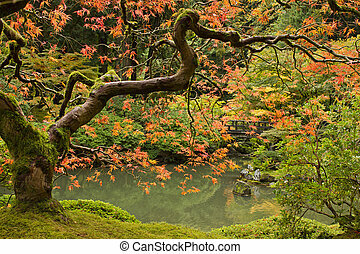 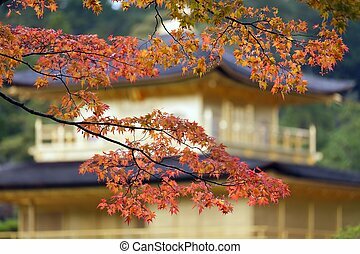 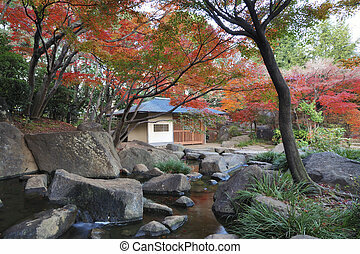 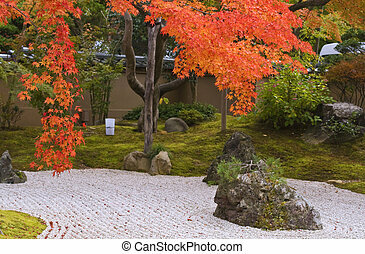 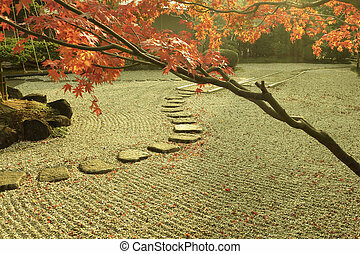 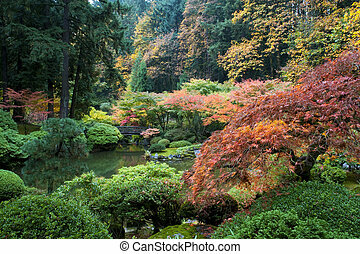 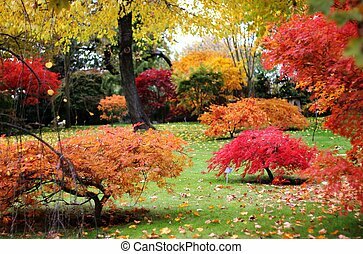 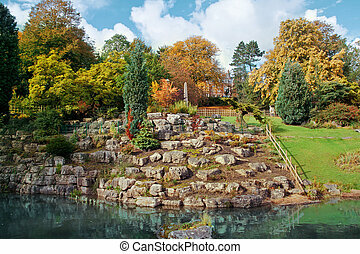 Beautiful autumn Japanese rocks garden aspect.Focus on the maple leaves.